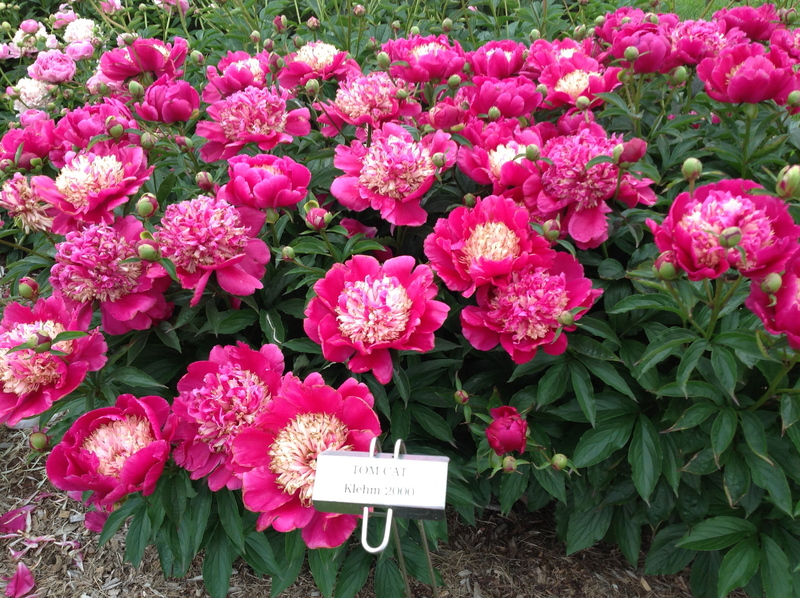 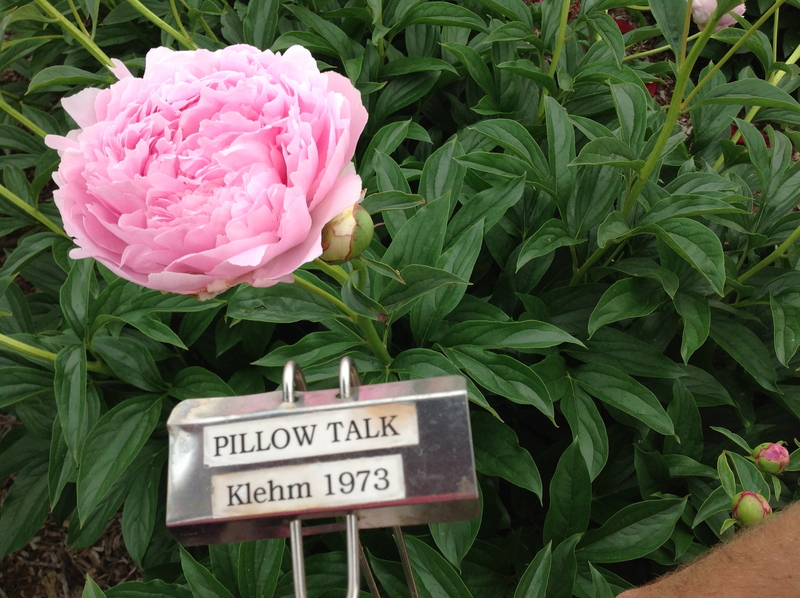 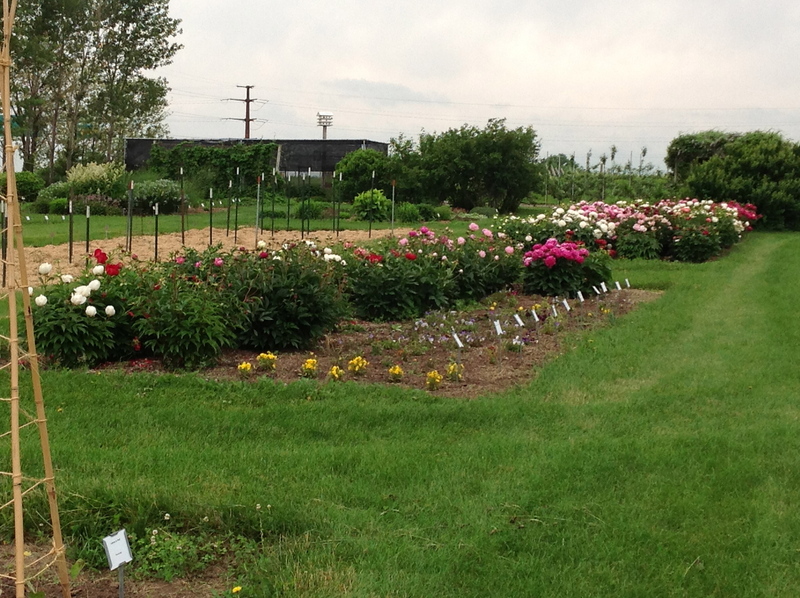 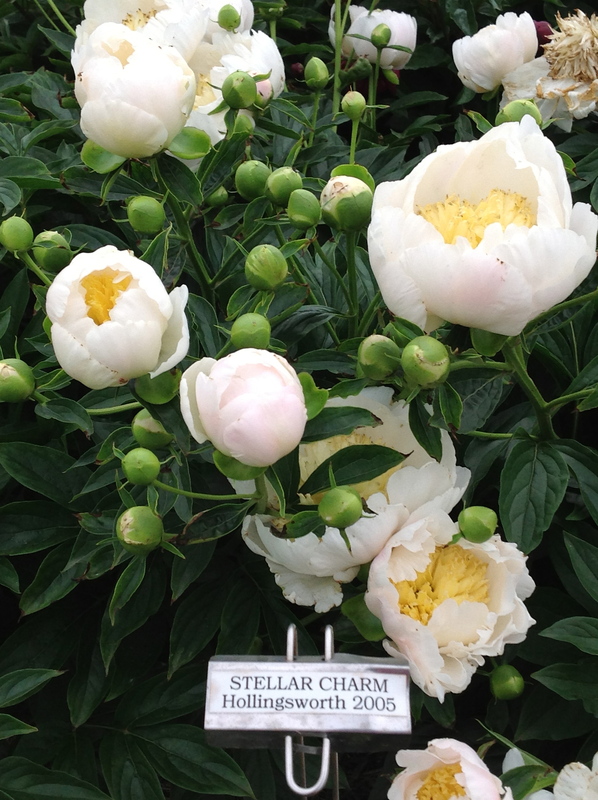 This week at the display gardens, our peony blooming event climaxed. 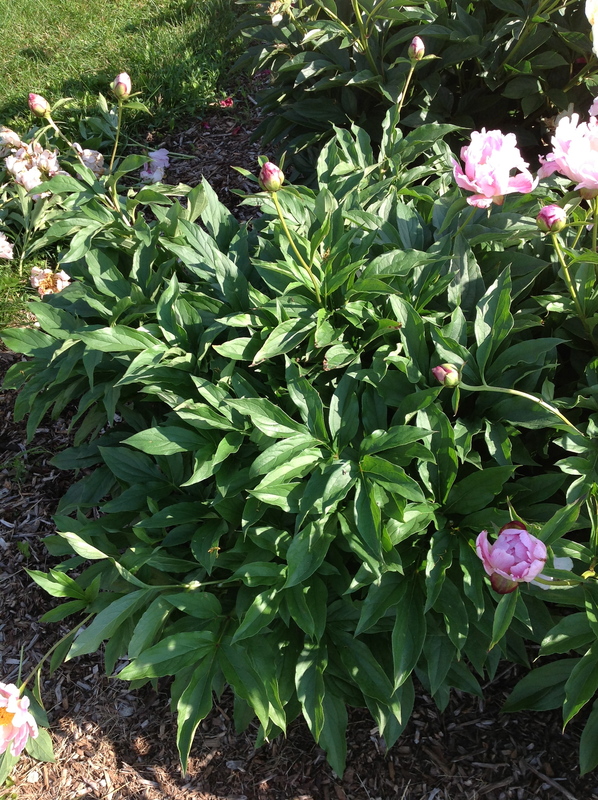 While many of the peonies in our beds had freshly bloomed, some of the plants bloomed a week or two earlier than the others. 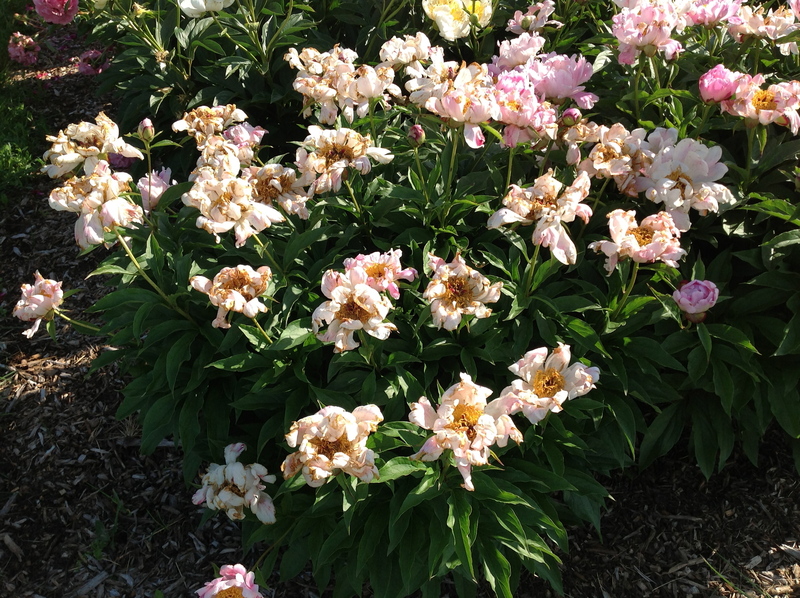 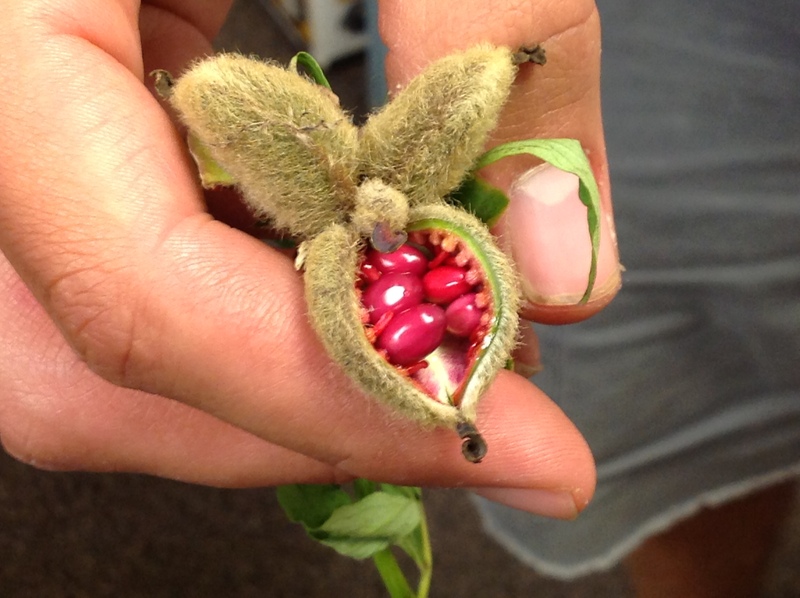 As the peony flowers on the “early bloomers” started to senesce, or become older, their velvety petals fell from the main head and scattered on the ground exposing four oblong shaped seed pods. 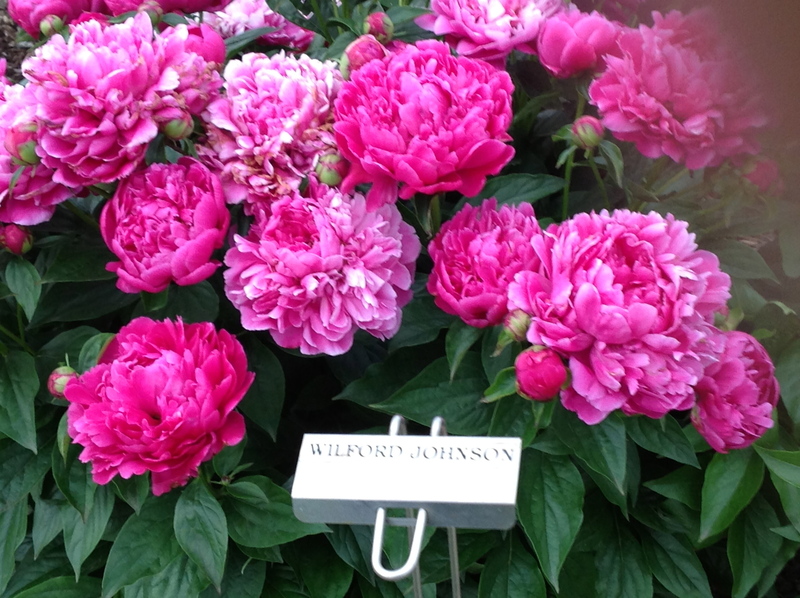 Although beauty is observed from the artistic perspective of any gardener’s eyes, we chose to prune the older peony flowers and seed pods back to the vegetative canopy layer. 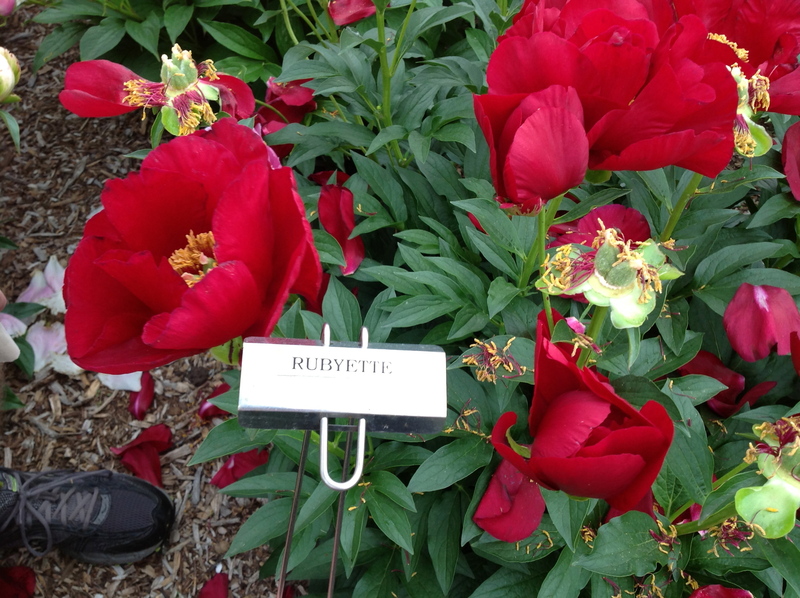 Sometimes, there were multiple buds on a shoot, in which case, we only pruned the flower stem down to the nearest flower bud.